Quilt your own "Welcome Home" heritage wallhanging! Approximate finished size: 14" x 30"
Each pattern includes the child design and general instructions on putting the quilt together plus a bonus opening greeting card page. Fabric/Color: This is your personal choice. 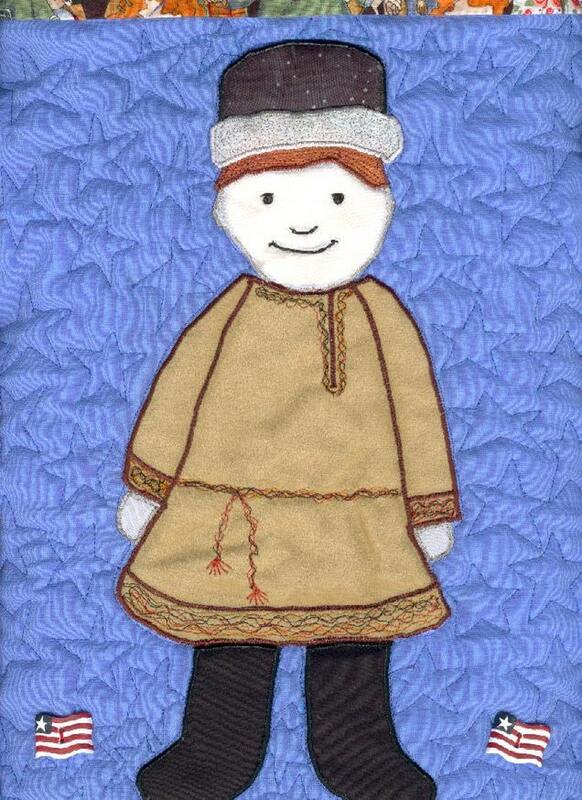 But we recommend you try to use color schemes and/or fabric native to the child's country. ** Please note that we sell patterns only. We do not sell fabric or complete, ready-made quilts. Thank you for customizing this for me! Our quilt patterns and downloadable books are non-refundable - but everything else is. We ship all items via USPS first class mail within 1-3 business days from receiving your order. Allow up to 5 business days to deliver to your location. AdoptShoppe owns the copyright to all adoption quilt designs we sell. Purchasers may sell any quilts they make using AdoptShoppe patterns. However, purchasers are not permitted to copy/reproduce AdoptShoppe patterns for resale.